Zendesk Extended For Magento is an extension enabling professional integration between Magento and Zendesk. The extension will let you automatically create Zendesk accounts, view and manage tickets as well as perform bulk actions on users and tickets. Your customers will be able to create, answer and control tickets directly in the customer account dashboard. 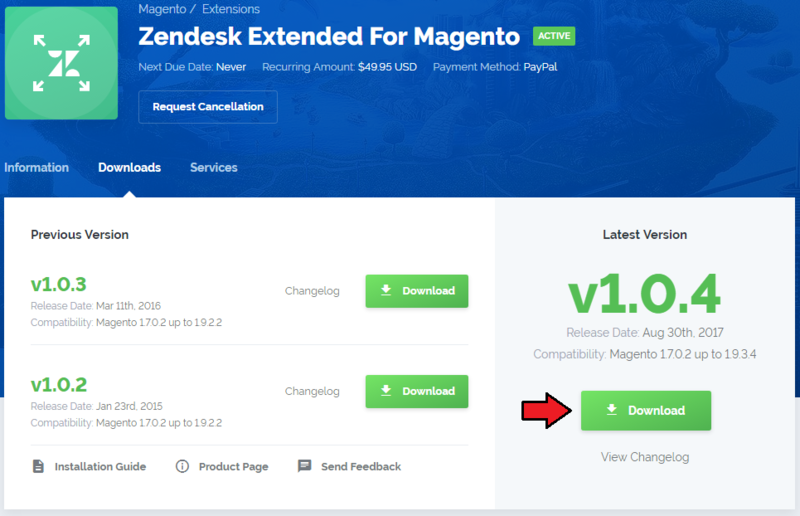 This tutorial will show you how to successfully install Zendesk Extended For Magento. 1. 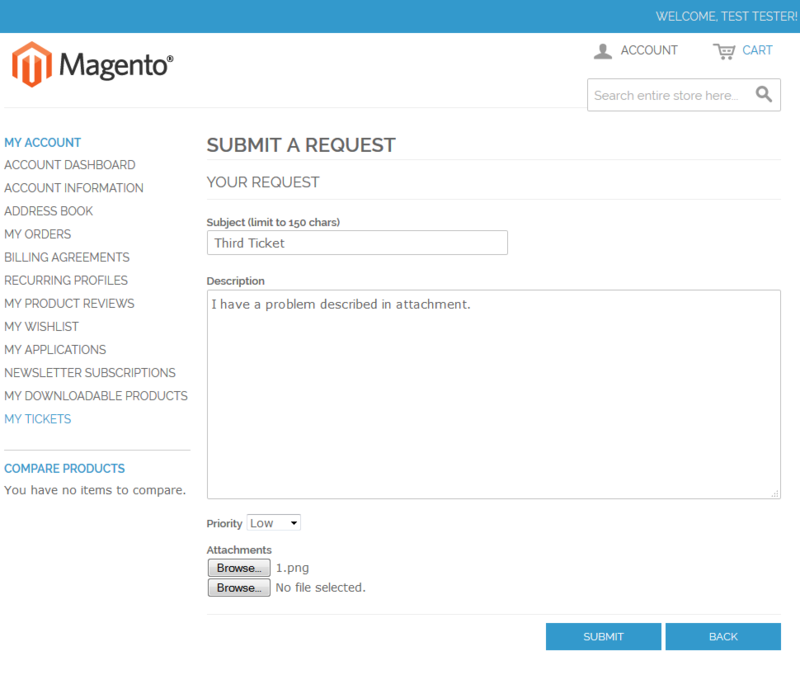 Log in to our client area and download Zendesk Extended For Magento. 3. 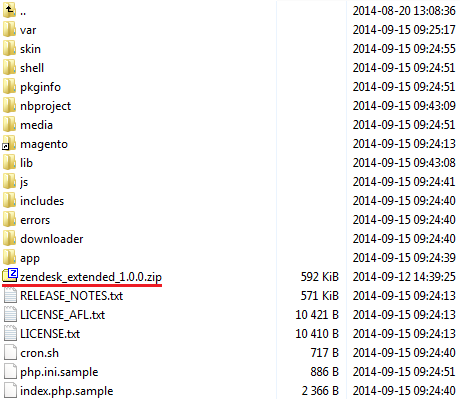 When you install Zendesk Extended For Magento for the first time you have to rename 'license_RENAME.php' file. File is located in '/app/code/community/Modulesgarden/Zendesk/license_RENAME.php' . 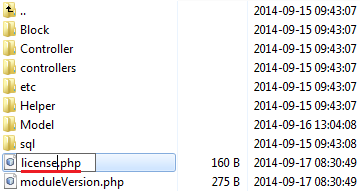 Rename it from 'license_RENAME.php' to 'license.php' . 5. 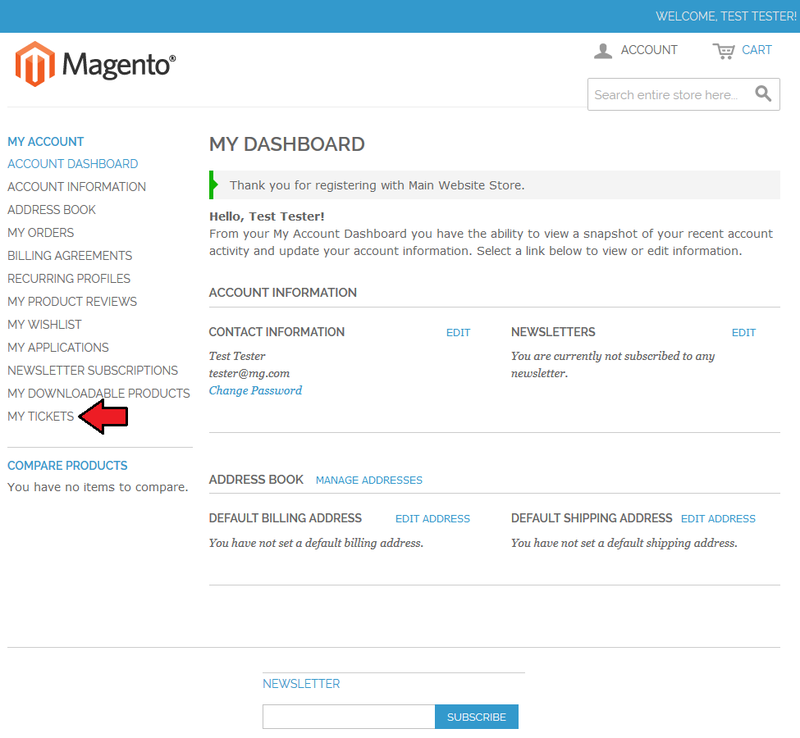 Now, log in to Magento and go to 'System' → 'Configuration' . 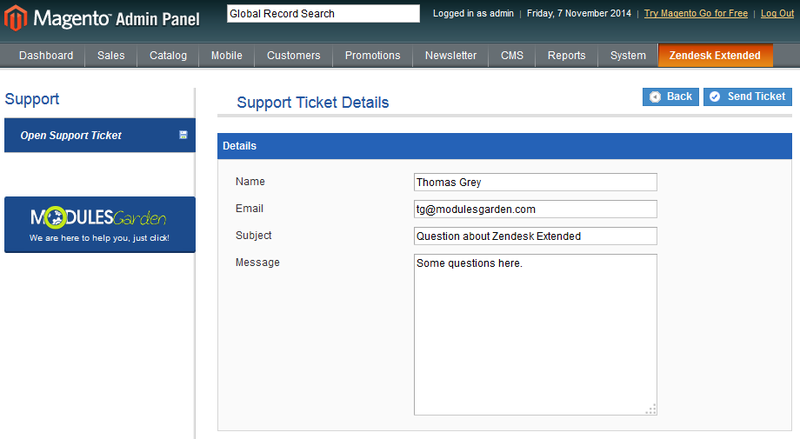 Afterwards, press 'Zendesk Extended' under 'ModulesGarden' section. 6. Click on 'General' section and fill in 'Subdomain' , 'Username' and 'Token' fields with your connection details. Next, press 'Save Config' . Note: 'Subdomain' is a subdomain used by your Zendesk server. For example, as shown on the following screen, a full URL to Zendesk server is 'https://modulesgarden.zendesk.com' . 7. You can also check whether the connection details provided by you are correct, press 'Check Connection' to do so. 8. You have just successfully installed Zendesk Extended For Magento! Zendesk Extended For Magento will help you gain profits from the usage of Zendesk support platform in your own Magento system. Let's start by showing you the other configuration possibilities of our extension. 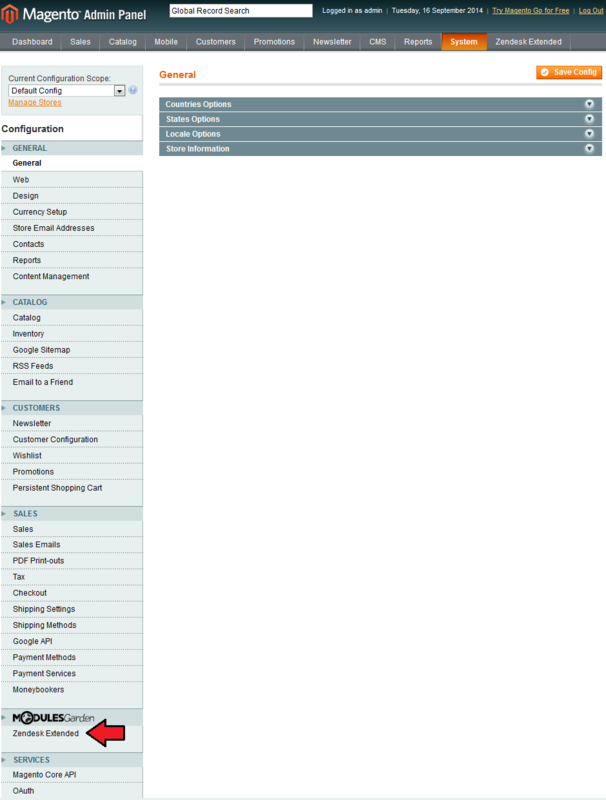 In the 'General' section you can set up access details to your Zendesk server. It was explained in the installation section of this documentation. 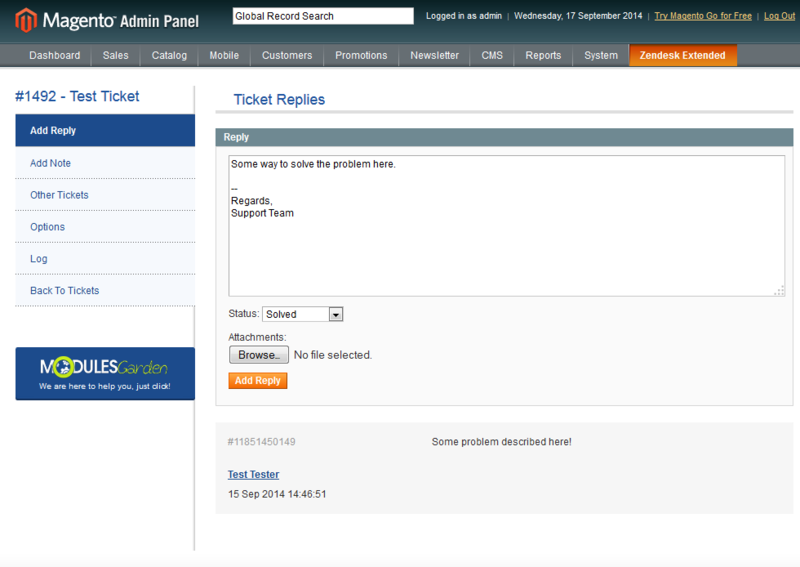 Use 'Admin Backend' to set up ticket sort order at the admin area. 'Customer Frontend' lets you enable/disable attachments at the tickets, as well as define the default sort order of tickets at the client area. 'Lifetime' variable at the 'Cache' section allows you to define how often changes should be synchronized with Zendesk server. 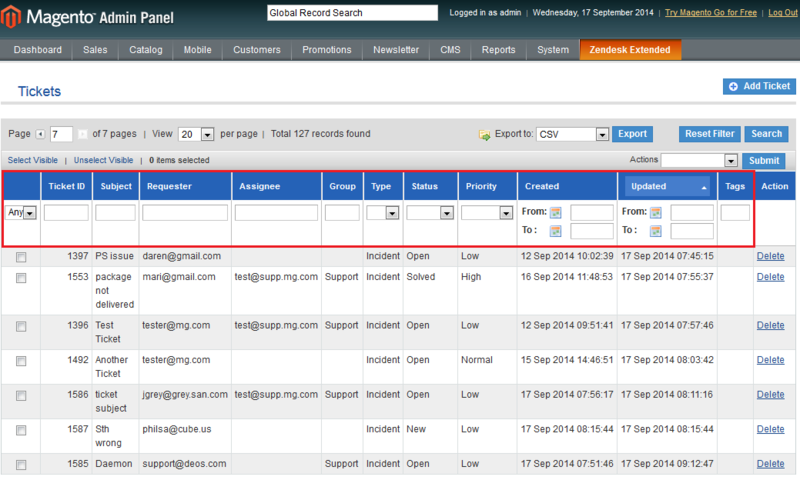 Any changes made in your Magento result in clearing cache and doing a new synchronization. Our extension allows your staff to use multiple accounts on a Zendesk server. 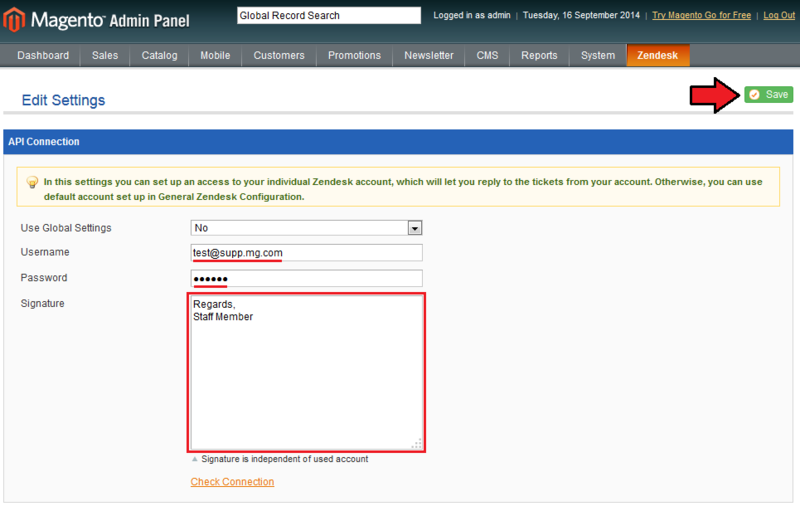 To set up an account for currently logged in admin, proceed to 'Zendesk' → 'Settings' . 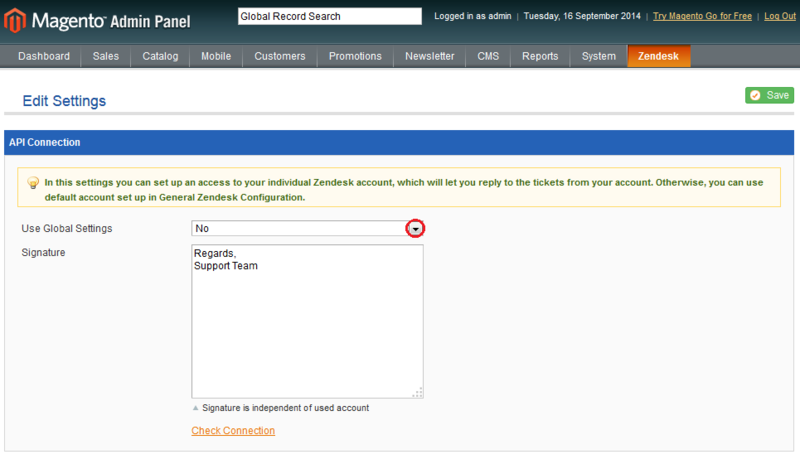 Now, select 'No' from 'Use Global Settings' , otherwise your admin will be using a default account on a Zendesk server. New fields shows up, fill them in with access details to your Zendesk user admin account. Additionally, using 'Signatures' text area you can define a signature added to your replies. Confirm through pressing 'Save' . 'Users' page allows you to view the list of users, which contains both admins and end users. As you can see on the following screen, you can find information about each of your users and even search specific ones using filters. Additionally, you can edit and remove each account using buttons at the 'Action' column. You can easily proceed to the tickets of a specific user. Simply, press the name as shown below. In order to add a new user, press 'Add User' button. 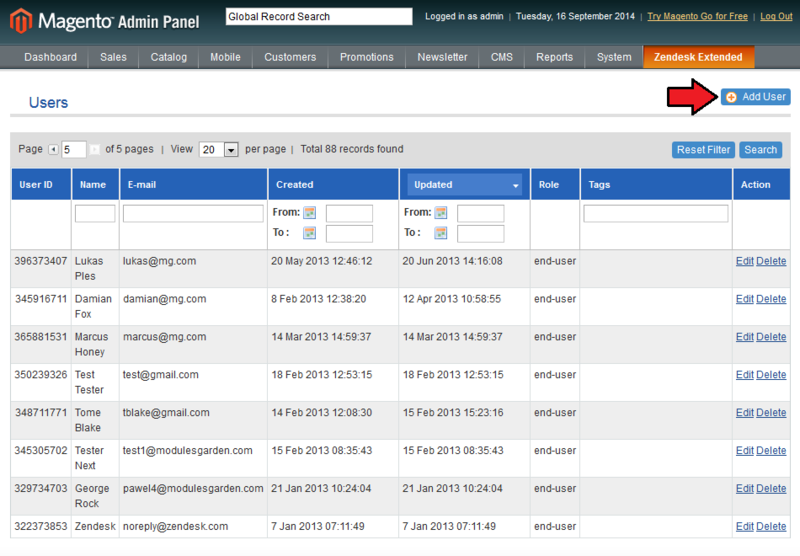 Next, fill in user details and decide what type of account it should be. 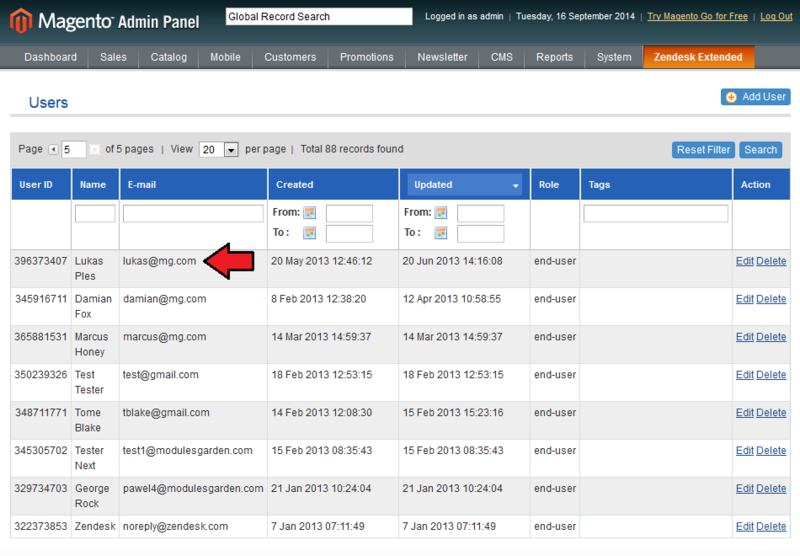 You can even add tags and notes to the account, press 'Save' to confirm creation of the account. 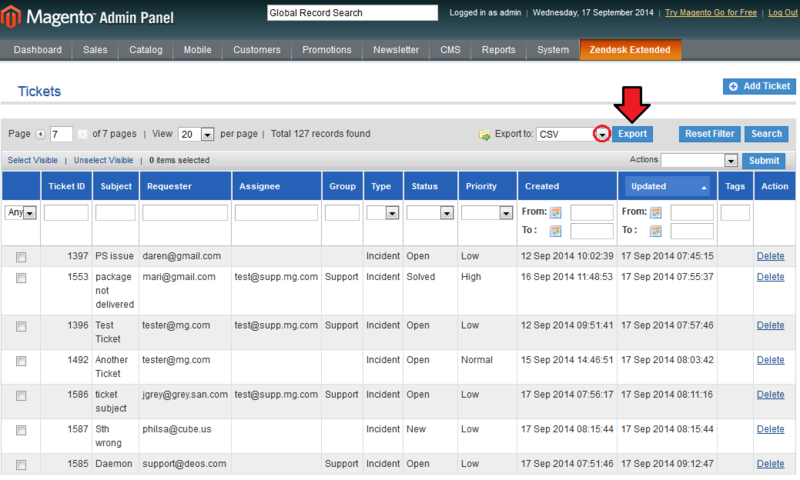 Note: Zendesk end-user account is automatically created for the client who does not have one. Tickets and their details can be viewed at the 'Tickets' page of our extension. You can search for a specific ticket using filters. You can also export the tickets overview to CSV and Excel XML files (attachments and ticket messages will not be exported). 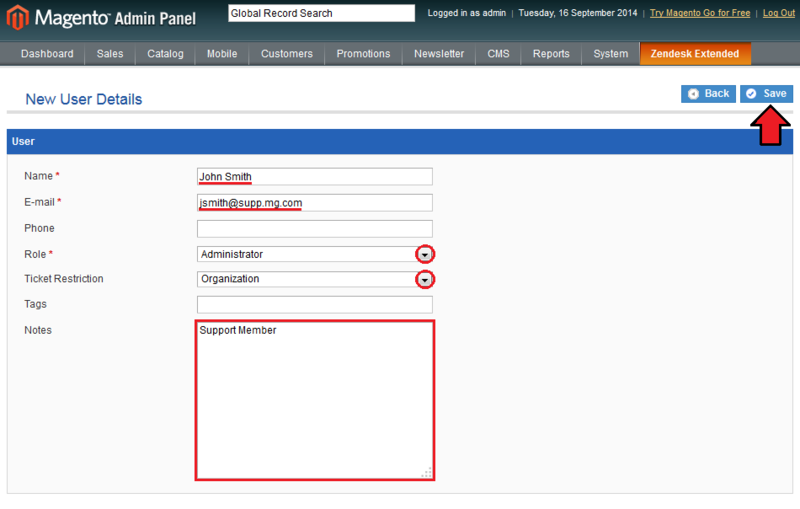 Simply, select desired format from 'Export to' dropdown menu and press 'Export' . 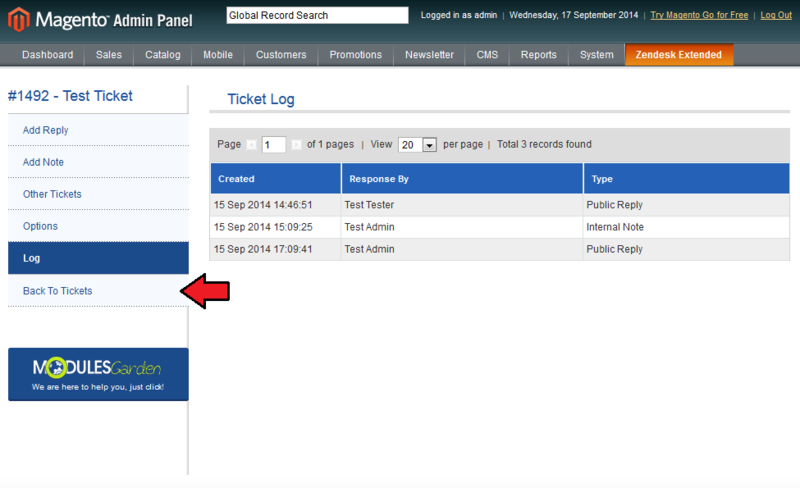 In order to view a specific ticket, find it on the list of tickets and click on it. You will be moved to the ticket page. As you can see, here you can view a full conversation and add a new reply. Using a sidebar you can easily switch between tabs. 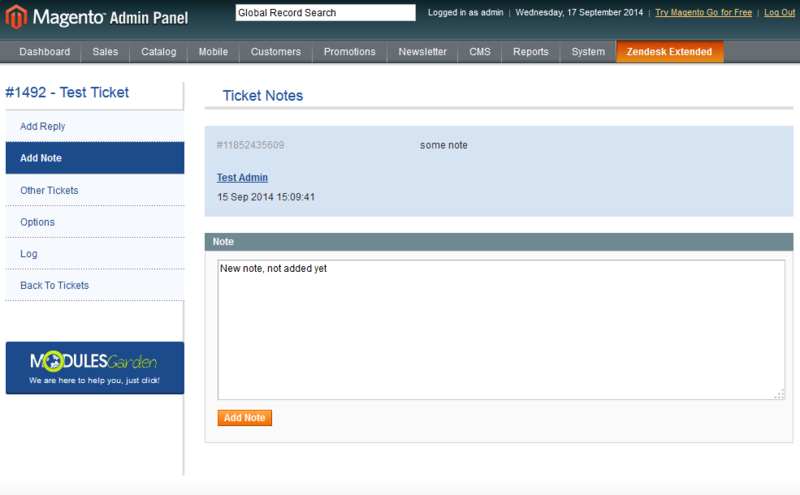 At 'Add Note' page you can view previously created notes and add a new one. 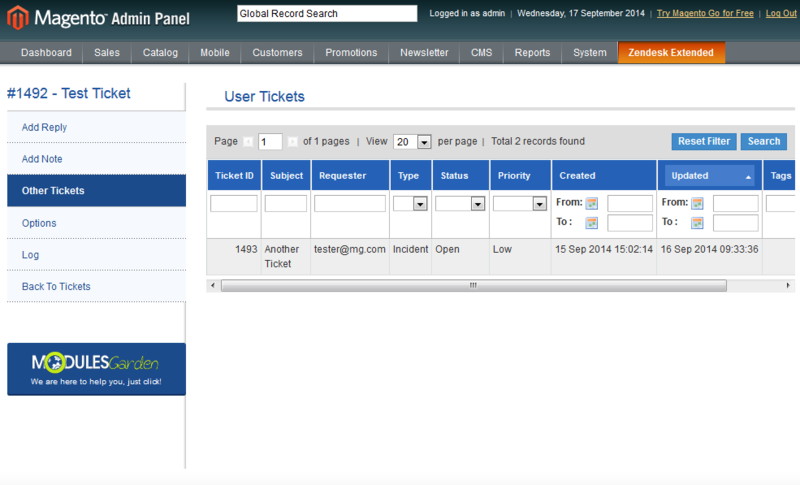 To view the other tickets of the client, proceed to 'Other Tickets' page. You can even change ticket's details at 'Options' page. 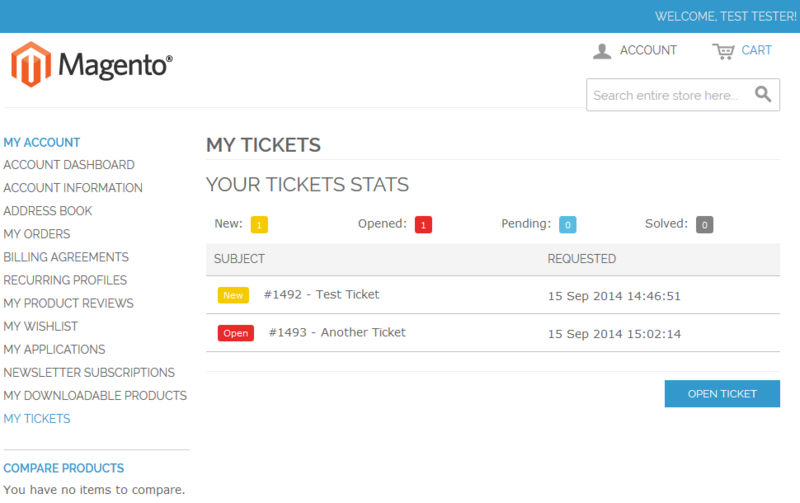 Here you are able to switch ticket's department, subject, priority and status. You can even add a tag to the ticket. 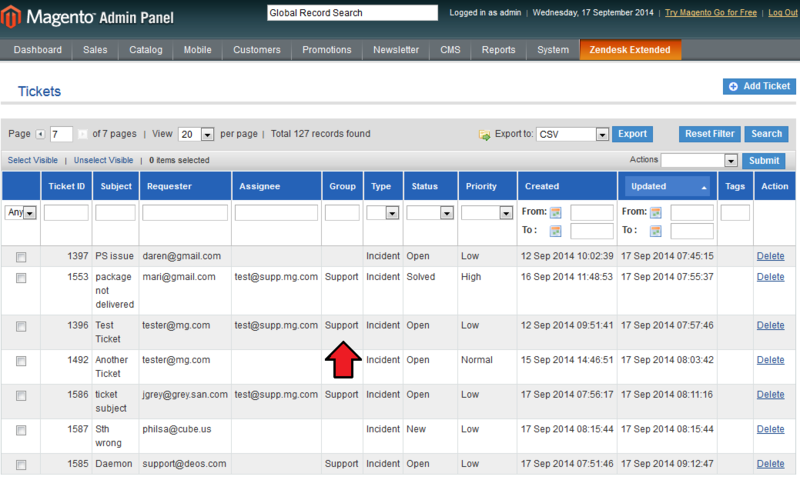 Note: Zendesk server does not allow to reopen a previously closed tickets, so think twice before closing any. All replies are logged, to view the full log, move to the 'Log' tab. In order to go back to the list of tickets, press 'Back To Tickets' . Your customers can profit from the integration with Zendesk right away! 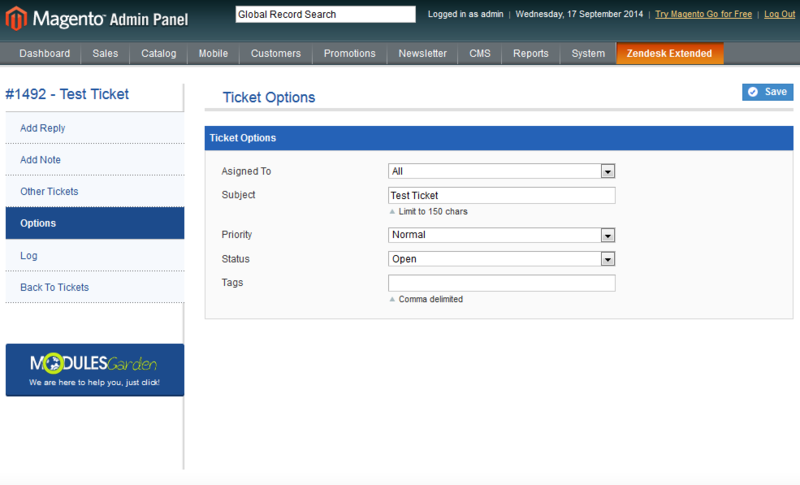 Let's log into a client's account and press 'My Tickets' in order to proceed to the ticket dashboard. As you can see on the following screen, here you can access the list of previously created tickets and ticket's statistics. Now, open a new ticket through pressing 'Open Ticket' . 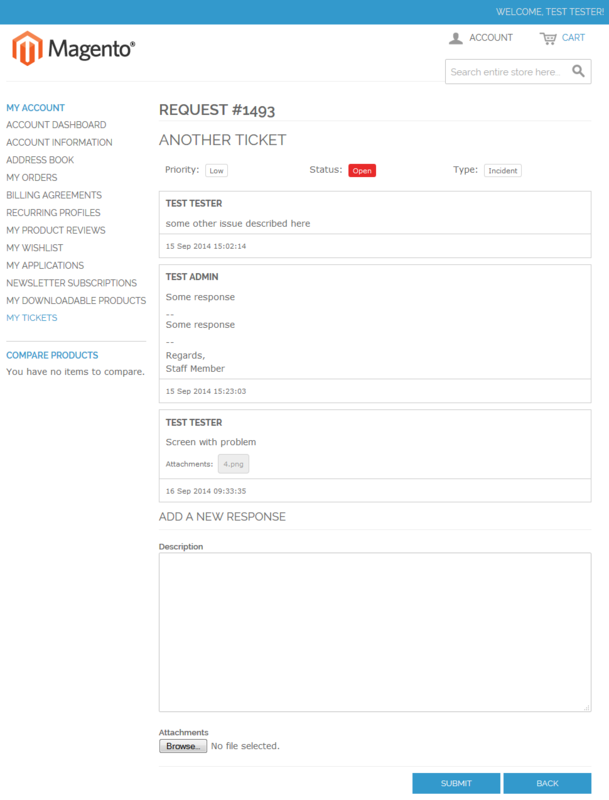 Fill in ticket's subject, its message, type of the ticket and its priority. Optionally, you can add an attachment (if admin allows it). Send the ticket through pressing 'Submit' . Now, let's take a look at the ticket itself, where some conversation with administration was already made. Note: If you attach an image file, pressing on it will result in opening it in a new tab of your browser. 1. 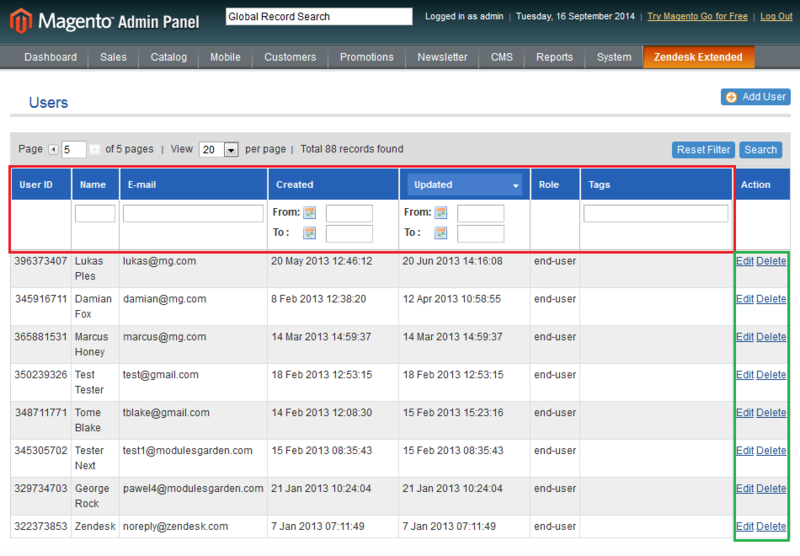 Attachments are saved in the 'your_magento\media' , therefore make sure you set it as writeable. 2. If you use one Zendesk server with multiple Magento platforms, your client's tickets will be available throughout all the platforms. 3. You can easily open a ticket and ask us about your extension. This page has been accessed 23,510 times.